Today is the day for Friday Fragments and I have a few. First let me say, I love Mrs. 4444's new button for Friday Fragments. It may not be that new as I haven't been fraggin' in quite some time and the button could have been around awhile. But it's new to me today and it made me smile. The entire album is dedicated to Bo's late mother, Pat and our late niece, Anna. The title track is in honor of Anna. Proceeds from the download of the title track will be donated to the Anna Daley Fighting Saint Scholarship Fund created this year in her memory. Read my post here for a bit more on the scholarship. This is Bo's finest album yet with wonderfully clever lyrics and haunting guitar melodies. It is heartfelt and true and you will be effected by his songs. I promise. Continuing to frag on, this week was the highly anticipated 4th grade field trip to Annapolis. You might remember a certain mother going on that field trip with her other 4th grader some years ago. My current 4th grader has been waiting for his turn on this trip since that day back in 2010. And that certain mother has been waiting for her second turn since then too. It was not to be however. We spent our day not learning about John Paul Jones' crypt at the Naval Academy or crossing the blustery Chesapeake Bay Bridge in a noisy school bus. 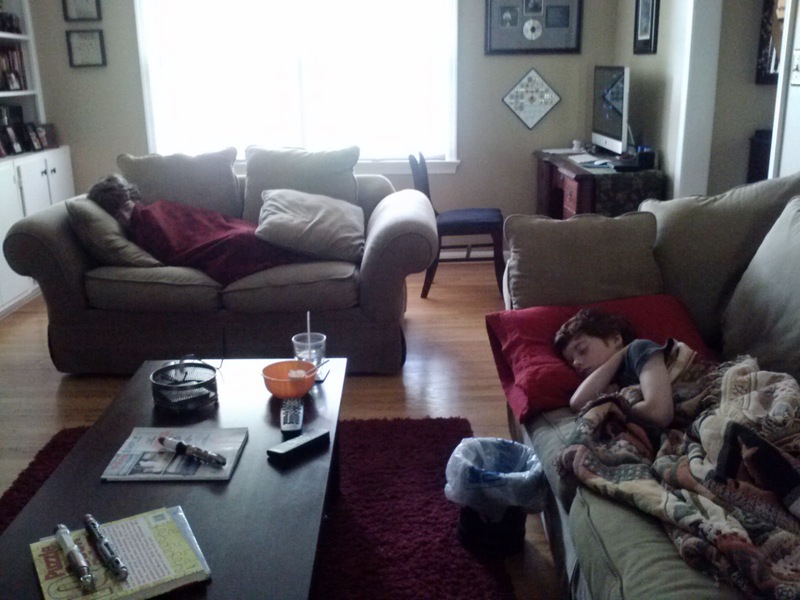 Our day was spent quietly snuggled under blankets with small wastebaskets within arm's reach. There were a few tears of disappointment shed about missing the trip. And the real 4th grader was a bit sad too. 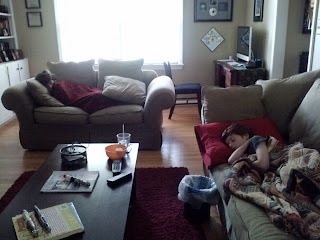 But I got to spend a quiet day with both my boys and that is a gift, even if there was vomiting involved. As someone said, "you get what you get and you don't get upset". And the final frag, I couldn't leave that last line alone. I had to know who said that. I like quotes and I like to know the source. 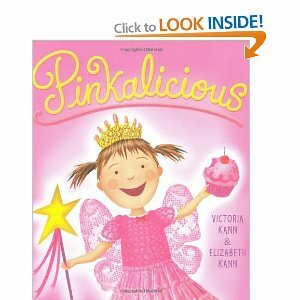 And now after Googling, I am a bit embarrassed to say that I just quoted from the literary classic "Pinkalicious" by Victoria and Elizabeth Kann. I am sure that this is a fine piece of elementary literature. Being a mother of boys, I do not know for sure. And I typically avoid concocted words that end in "-alicious." Although I am not usually a fan of pink, I must say that Pepto-Bismol a few days ago could have been classified as pinkalicious. Next time, I will just frag on rather than digging deeper. Awwww! So sorry the much anticipated field trip wasn't meant to be with all the vomiting going on. But I love your positive spin that you got to spend some quiet time with the boys. I am loving the 'album'...I don't know, I've just never gotten away from that 1970's lingo : ) It really is a great collection of songs. Besides Anna's special song I really love Laurel Valley a lot too. Pink rocks in our house! Happy Mother's Day to you! Nice set of fragments here at Tempo and Speed. 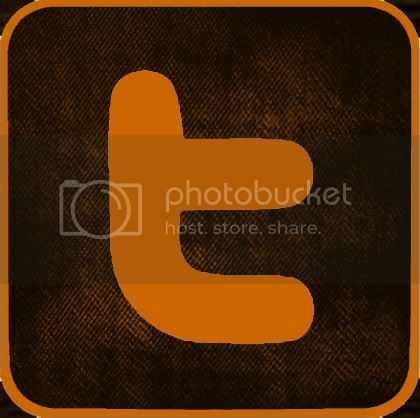 The new icon was unveiled only las week. You are not behind the times. Sorry you had hurling at your house. Not fun. Oh, how I hate the throwing up stuff! So sorry about missing the field trip! Hope the weekend is good!